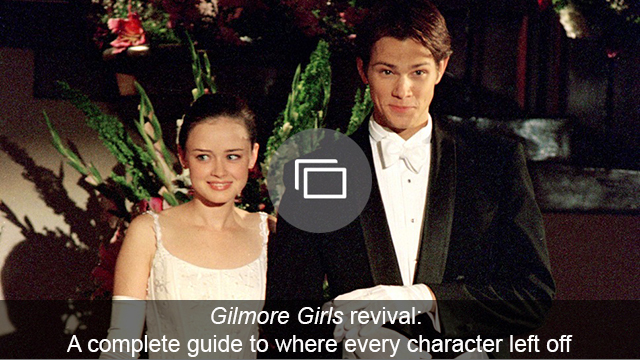 Ever since a Gilmore Girls revival was announced, fans have been trying to determine who Rory will end up with. Will it be her first love, Dean? Will it be bad boy, Jess? Will it be the man who proposed to her, Logan? Will it be no one? Will it be someone completely new? Let’s hope it’s not the latter, because that would just be beyond disappointing. She has to end up with one of the three guys who had her heart at one time when the series aired. It appears Twitter is convinced Rory and Jess will end up together based on the revival’s trailer, but are we so sure he’s the right choice? Did Jess have more lines in the Gilmore Girls trailer (watch below, if you’ve yet to see it) compared to Dean and Logan? He sure did, though that doesn’t mean anything. Maybe Netflix is trying to mislead fans and convince them Rory and Jess are the endgame by featuring him more heavily than Logan and Dean. The fact that both Dean and Logan were only seen for a brief second actually speaks volumes. That could be the show’s way of avoiding spoilers because either of them could be Rory’s OTP. So who is? It’s definitely Logan. Don’t get me wrong. Jess is great, but Logan makes way more sense. As for Dean? He can just go away and stay away. 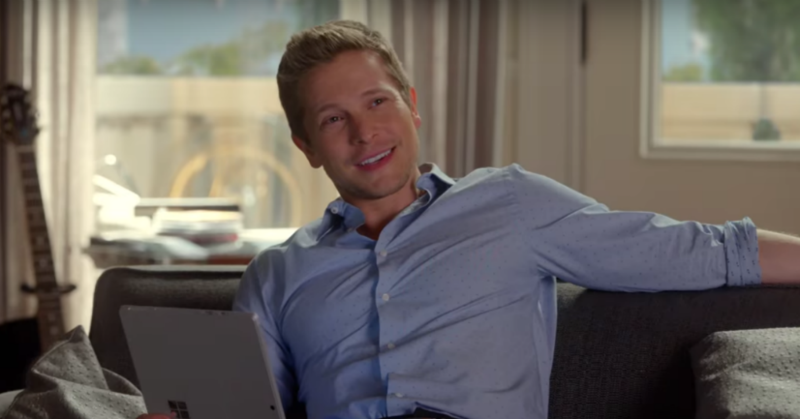 Now, back to the man who deserves to end up with Rory. Like both Dean and Jess, Logan definitely had his flaws, was a jerk at times and was nowhere near perfect. That said, he had some really great qualities, which is why he’s the best fit for Rory — and here’s why. Out of all three of Rory’s loves, Logan is the one who evolved the most and the one fans got to watch grow as a person. He started off as this rich and selfish boy who turned into a man who not only wanted more for himself (he even walked away from his life of privilege), but also wanted to see Rory succeed. Logan evolved positively by the end of the series and proved he deserves to be with Rory forever. On more than one occasion, Rory went out of her comfort zone thanks to Logan. Though, let’s forget about that time she got arrested for stealing a yacht. When a significant other pushes you in ways that makes you feel uncomfortable, but also fearless at the same time, then you know he/she is right for you. Who wants to be with someone who is exactly like them and where nothing fun or spontaneous ever happens? Logan was a nice mix of both a “good guy” and a “bad guy.” As for Dean, he was just annoyingly good all the time and Jess, well, he was definitely the quintessential “bad boy.” Who wants someone who is one or the other when you can be with someone like Logan, who is a mix of both? They may not always have seen eye to eye, but Logan and Lorelai actually have a lot in common. Mainly, they both grew up in a world of privilege and both chose to leave it to do things their own way. After Lorelai got pregnant with Rory, she left home to raise her daughter by herself and succeed without her parents ruling her life. Logan came to the conclusion he wanted to work hard and become a success all by himself, which was truly admirable. It’s sometimes said that we’ll end up with someone similar to our parents, and seeing as Logan and Lorelai have so much in common, that’s just another reason Rory and Logan are meant to be. Near the end of the final season, remember when Logan visited Stars Hollow with Rory? She was trying to decide whether to go for the fellowship at The New York Times or take the job at the Providence Journal. Rather than telling Rory what to do or tell her what he wanted her to do, Logan told her to make her own decision based on what she wanted for herself. Then, they could factor each other into wherever they ended up. Did anyone else just swoon all over again? Despite their different backgrounds and views, Logan never factored any of that into how much he loved Rory. He loved her for her mistakes, her quirkiness, her love of junk food, her pros and cons lists, her upbringing and everything else that made Rory so lovable. After Logan proposed to Rory and she said no, he said something that proved how much he wanted their relationship to be healthy and succeed. Rory wanted to do long-distance, but Logan refused. He didn’t want to live that kind of life with the woman he wanted to spend forever with. By Logan wanting all of Rory or none of Rory, it showed he really did want them to thrive as a couple. It also showed maturity. He stayed true to what he wanted, just like Rory did by not wanting to get married at that point in her life. Long-distance can be hard and he recognized that. Who knows if he regrets his decision? But based on that choice, Logan clearly wanted only the best for both of them. Here’s hoping Logan and Rory find their way back to one another in the revival because it’s the only ‘ship that makes sense. Gilmore Girls: A Year in the Life premieres Friday, Nov. 25 at 12:01 a.m. PST on Netflix.